Precision scissors for all your quilting and sewing projects! 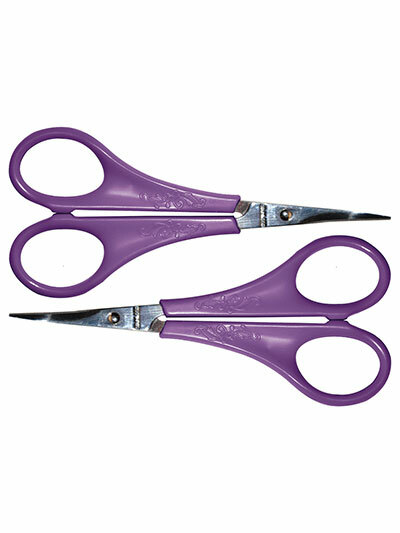 The stainless steel blades on these scissors allow for detailed and delicate cutting and trimming of threads and fabric. 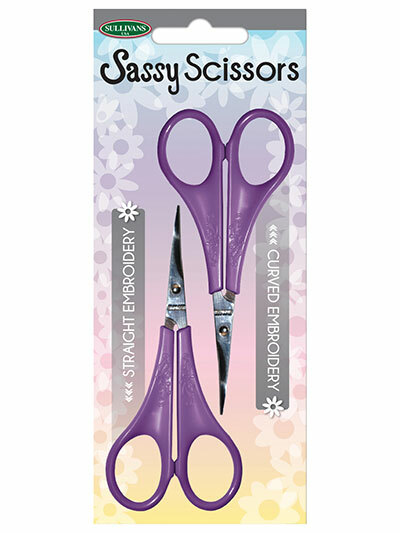 Includes 2 lightweight, 4" scissors, one with a straight tip and the other has a curved tip. I love these scissors. 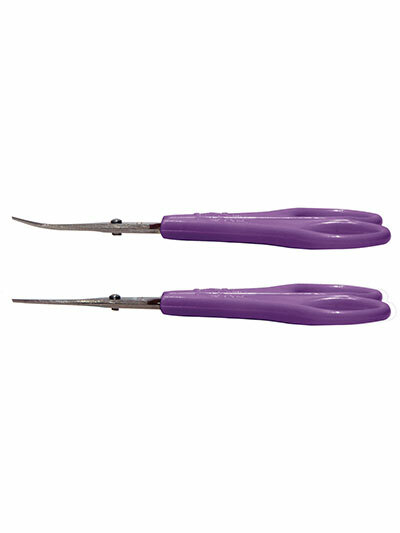 Very sharp and I use them all the time with the crochet work I do. I am ordering more just to have them handy at each place I work and not have to go to one place to use them. Thanks so much. 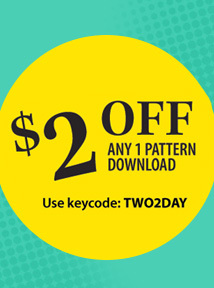 I have also used them as a seam ripper, it you know what I mean. They are cute but as far as the description on what they do, they don't live up to the claims. They are not very sharp and cutting with them isn't great. I wouldn't recommend for the money they want. I have ordered these little scissors as a prize at my September Quilting Retreat. So have not used them, but the packaging is very well done, and they will present well. I will write more when the ladies have a chance to use them!